​The Josh Gordon era in Cleveland has shockingly come to an end. The team has stood by Gordon's side throughout all of his off-the-field issues, but things have finally reached a boiling point. In an emotional statement from GM John Dorsey, it has been announced the two sides will part ways early next week. ​Earlier in the day, the team declared Gordon OUT for this weekend's game due to an injury. Now, hours later, this bombshell of news has been released. 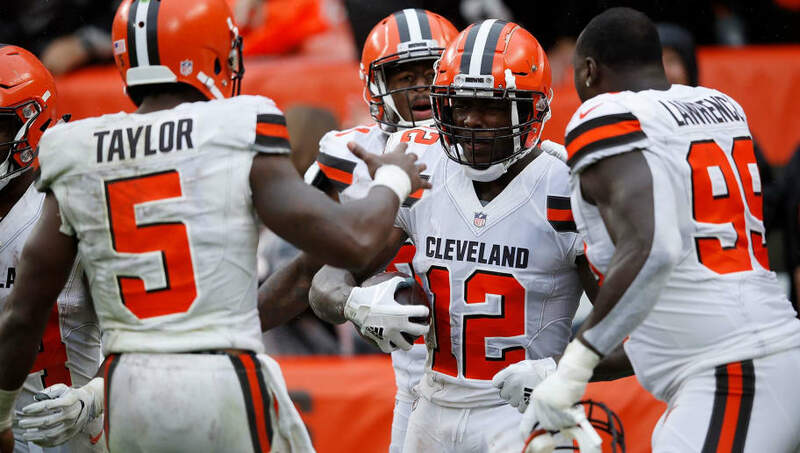 Gordon, who played in five games last season, seeing his first action since 2014, caught one pass for 17 yards and a touchdown in last week's tie with the Steelers. As talented as Gordon is, his inability to stay on the field will always overshadow what he's been able to do on the gridiron. He's been suspended multiple times for violating the NFL's substance abuse policy, which saw his 2014 campaign cut short. He was also out for 2015 and 2016, before returning midway through last season. Now that Gordon will no longer with the Browns, we'll have to wait to see if another team decides to give him another shot.